I'm a total sucker for orange chocolate, I'm a sucker for chocolate anything to be honest..I'm a lover of a loaf, I find they're super easy to make, minimal faffing is required! 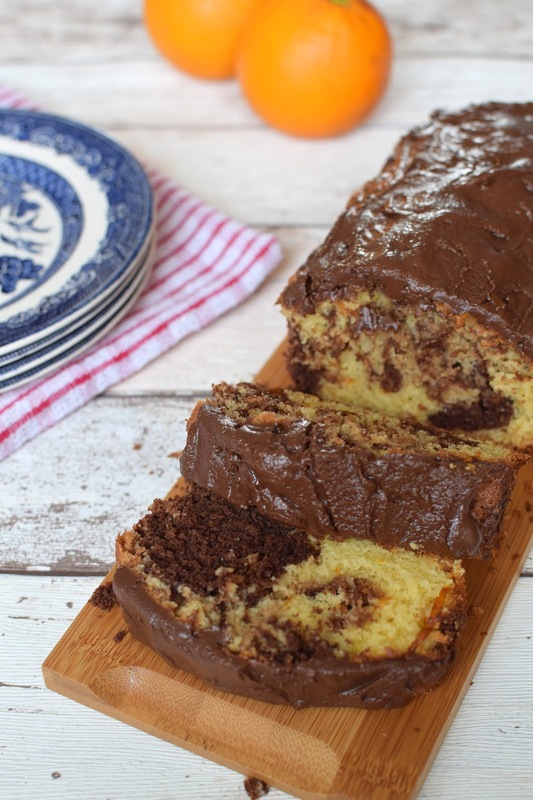 This Jaffa Marble Loaf is something a bit different, if you know someone who loves chocolate orange this is a winner, and that chocolate orange topping is to die for! 1. Grease and line a 23x12cm loaf tin. Preheat the oven to 160 degrees C/Gas Mark 3. Zest and juice the orange. 2. Put the butter, sugar and most of the zest in a large bowl, mix until pale and creamy. 3. Stir in the salt, flour and baking powder until combined. Add the eggs and oil and beat together until smooth. Add 3 tablespoons of orange juice to loosen the mix. 4. Spoon half of the cake batter into a separate bowl, add the cocoa powder and mix until combined. 5. Spoon the batters into the cake tin in alternate spoonfuls until the bowls are empty. Stir through the mix with a knife or skewer to ripple the blobs together. 6. Bake for 55-60 minutes until golden and well risen, a skewer inserted in the middle should come out clean. Leave to cool in the tin for 10 minutes then turn out onto a wire rack to cool fully. 7. To make the topping, melt the chocolate in the microwave or over a pan of boiling water, add the remaining zest and golden syrup. 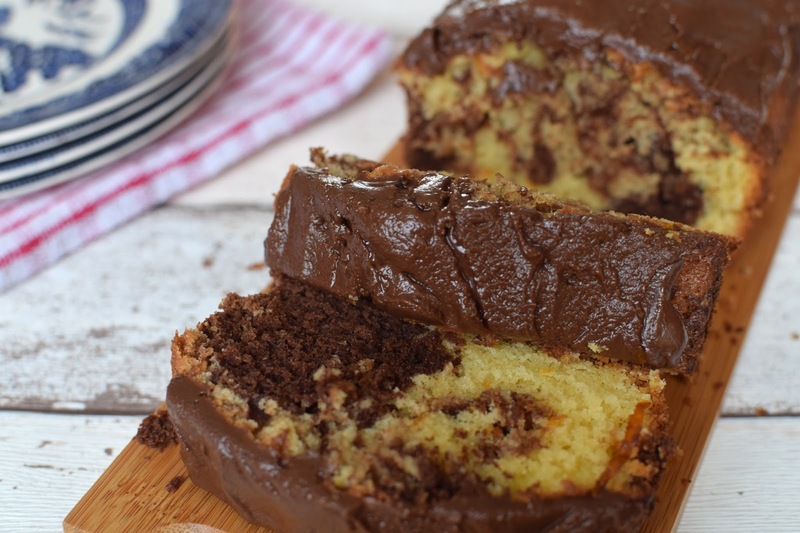 Mix together then spread over the top of the cake, slice and serve!